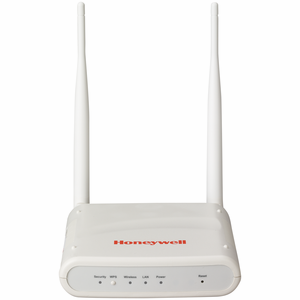 The Honeywell WAP-PLUS is a wireless access point. Out of the box, the WAP-PLUS functions as a wireless access point to support Honeywell iPCAM and ACU (Analog Converter Unit) installations where a wireless access point (with WPS security) does not exist. For specific information on how to connect iPCAM or ACU peripherals to the WAP-PLUS see the specific peripheral's installation guide. In addition, the WAP-PLUS must be used for iPCAM installations with the LYNX Touch (L5100 series) control. For this use, the WAP-PLUS must be configured as described in this document. For specific information on how to connect and configure the LYNX Touch (L5100) to work with the WAP-PLUS, please refer to the LYNX Touch User Guide. The WAP-PLUS provides an easy-to-setup secure wireless solution that enables Honeywell's iPCAM series internet video cameras to communicate with AlarmNet. 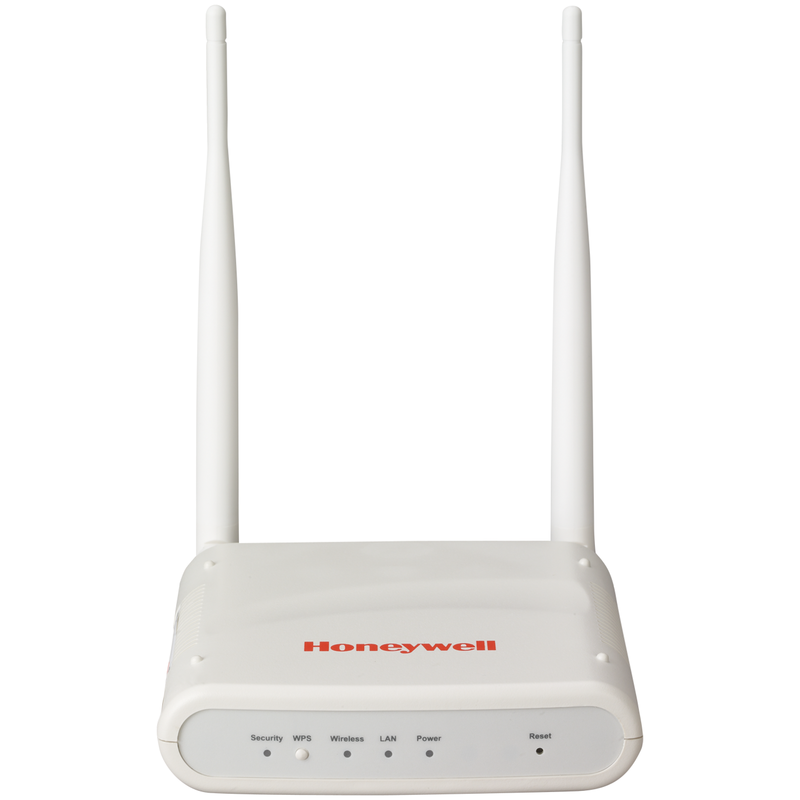 &check; Utilizes the 802.11b/g/n protocol with WPA2-PSK wireless security. &check; Supports WPS security. WPS (Wi-Fi Protected Setup) is a standard for easy setup of a secure wireless network. In addition there are three 10/100 Mbps Ethernet ports available for wired cameras. IMPORTANT: This device is for indoor use only. The WAP-PLUS must be spaced at least 4 feet (1.2m) from other wireless devices. For detailed information on wired and wireless operating distances, refer to the camera or ACU's installation guide. Security: On - Wi-Fi security is set to on. Flashing - Flashes when WPS button has been pressed for 3 seconds and released, to indicate the WAP-PLUS is transmitting a new security key to the wireless camera. When the wireless camera replies, the Security LED lights solid. WPS (button): Used to setup a secure wirelessconnection. LAN: On - The LAN port(s) is active. Wireless: On - Wireless connection exist. Off - No Wireless connections exist. Power: On - When power is applied the LED blinks during an initialization period, then remains steady to indicate power is connected.